Bauchi-The Speaker of the House of Representatives, Mr. Yakubu Dogara has described as devastating and heart breaking, the news of the death of Senator Malam Ali Wakili. In a press statement by his Special Adviser on media, Turaki Hassan, the Speaker who could not control his emotions on getting this sad news, described the late Sen. Wakili as a personal friend, true brother and dependable ally. ” The death of Sen. Ali Wakili is a personal loss to me. I’m short of words to describe how devastated and heart broken I am over the passing away of this true friend, brother and confidant, with whom I had excellent brotherly relationship and association”. “We have indeed lost a distinguished parliamentarian, easy going and courageous person who had worked tirelessly both in the Senate chamber and outside to defend the interest of his constituents, Bauchi State and the downtrodden members of the society in the country at large”. “Within his short but eventful sojourn in the National Assembly, Sen. Wakili had distinguished himself with his characteristic display of patriotism, forthrightness and logical skills during debates and other legislative duties”. “We in Bauchi State and in particular, Bauchi South Senatorial District, have lost a worthy ambassador and a distinguished gentleman. But we’ll take solace in the fact that his humanitarian services and other accomplishments will continue to be a source of inspiration to us all”. The speaker prayed God Almighty to grant his soul eternal rest. 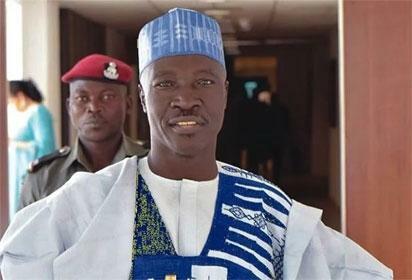 The post I lost a brother, confidant, Dogara mourns Sen. Wakili appeared first on Vanguard News.